In my fridge looms a large jug of Costco’s Grade A Medium Amber 100% Maple Syrup just waiting for this recipe, again. After a few more batches, I’ll need to make another Costco run. Maybe by Friday. Saturday at the latest. Yikes, I just ate the last cookie! Someone stop me! 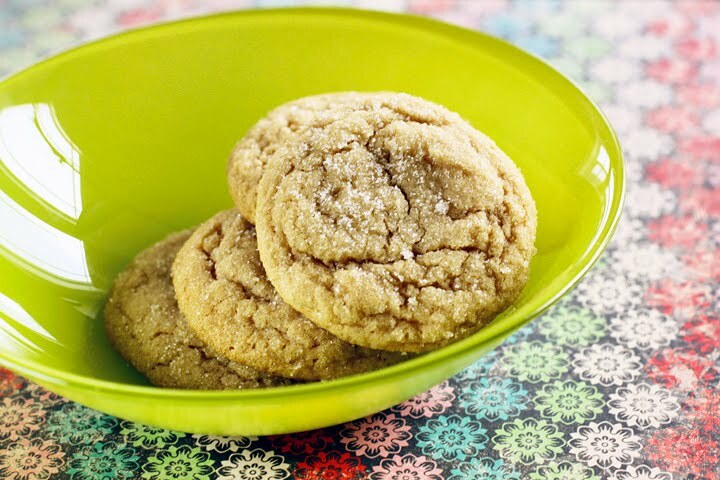 So buttery, fluffy and moist these cookies are truly a worthwhile indulgence. Submitted by Craig Gund to Allrecipes.com. Pictures by Laura Flowers. man these sound dangerous. In such a delicious way. I adore maple syrup, especially during these fall months. I need to get a big jar of my own! These cookies would be perfect with a warm mug of hot chocolate. I'm drooling just thinking about it. Thanks for sharing! As a Canadian (who is living on the other side of the world but still stocks up on maple syrup)you are talking my language!!! This one I am putting on my MUST MAKE list! My parents are coming for a visit in a few weeks, what a special treat this would be to serve them. I'm always on the lookout for new and interesting ways to use maple syrup. Looks like I found one! OMG, these look so good. Who would have thought that maple syrup in a cookie could look so beautiful!!! Seriously, I have to try these. Come stop by our blog and let us know what you think! 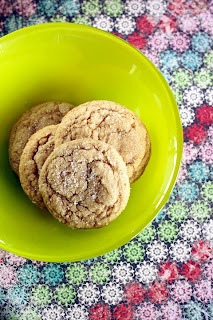 MAPLE SYRUP COOKIES?!? You have GOT to be kidding me. I'm making these today! Maple syrup is one of my all time favorite things! These sound so good. I tried making honey cookies a few days ago, but these sound even better. So simple and delicious--a must try! Thanks for sharing. Those sound so good and look great. I need to get some more maple syrup! I wish i was up to making these, i have a cold :((( Bookmarked! Mm I just adore maple's flavor and it's so right for fall :). Wow, please let me know how they turn out! I can't wait to hear. I've never thought about putting maple and chocolate together. 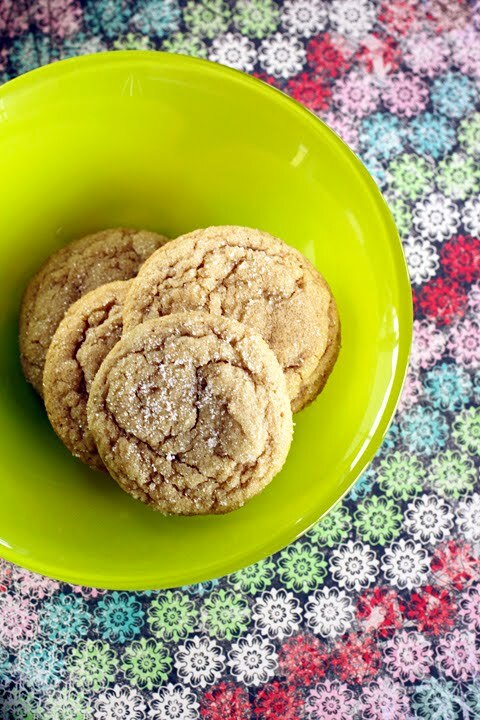 Do you think this recipe would work for cookie cutters if I roll out the dough thinly? I'm celebrating my first Canada Day with my boyfriend's family and want to try out this maple shaped cookie cutter I found for a homemade treat! If you chill the dough I think it would be fine to roll it out. You might need to dust pretty well with flour, but I don't see why it wouldn't work. I just made these last night and they were amazing. For a table of only 4 of us the try was practically empty. That good. I also added walnuts and it was a great addition with the taste of the maple. Jessica I'm so glad! Thanks for letting me know. I was looking for a recipe to use up some of the pure maple syrup I have sitting in my cabinet. Since I planned on making cookies for xmas, this was the perfect recipe. I'm lucky any ended up in the tin, my bf kept eating them! I was afraid these were going to be incredibly sweet, but they're perfect and soft - one of the best cookies ever. And I'm not a sweets person! and by the way, I think these will be awesome with a little vanilla ice cream sandwiched in the middle!